E3 2017 is in the books, and our contributors have a lot on their minds. 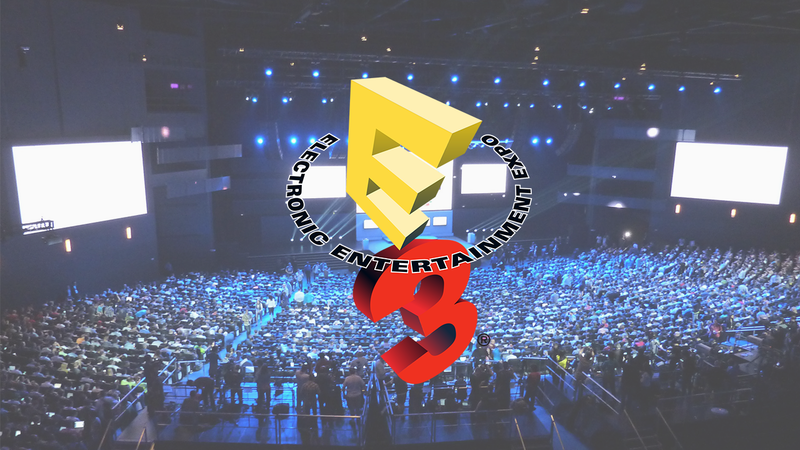 Welcome to Day One of Scholarly Gamers’ E3 2017 Postmortem! Today, we’re hearing from Dustin Thomas, Christian Vazquez and Billy Arundell! I primarily watched the big three, and overall I felt Nintendo was the only one that really knocked it out of the park, though it was more of a “Jose Canseco let the ball bounce off his head and over the fence” rather than a 500 foot bomb to center field (sports references!). The Microsoft conference showed some decent stuff, I was especially excited to see the announcement of Metro: Exodus because Metro: Last Light was a pretty stellar game, and the use of a map in the trailer makes it appear to be taking an open-world approach. Outside of that, Ori and the Will of the Wisps was the most pleasant surprise for me with Microsoft. Crackdown 3 looked decent, though more gameplay would have been appreciated. Cuphead finally got a release date, which got me pretty excited, but fingers crossed that they stick to it. Also, I think “Xbox One X” is almost as dumb of a console name as the Wii U. As someone who works in video game retail, I can say that I’ve already had confusion from a customer who called in asking about pre-orders for X.B.O.X. and it sounded so similar to “Xbox One S” that I told him we had it in stock. Luckily I realized what he was saying before he came in and got angry. With Sony, I feel like the use of a gigantic auditorium hindered the overall presentation. Either the huge arena made it hard to hear applause, or the crowd really had an extreme lack of energy. Either way, it weighed their showing down. God of War still looks good, I was glad to see some new content for Horizon: Zero Dawn, and Uncharted: The Lost Legacy became a day one purchase for me. The one thing I will give Sony is that I feel like I may need to purchase a PSVR, if for no other reason than to try out Skyrim VR. Spider-Man looks amazing, but felt like a weird choice to end the show. Very disappointed in a lack of The Last of Us 2. Nintendo announced things that all of their fans wanted, and then announced more during their Treehouse stream afterwards. I’ve been clamoring for a new 2D Metroid (as a lot of people have), and now we know why Nintendo was so adamant about shutting down the fan-created AM2R. Metroid: Samus Returns may be a remake, but it’s a remake of an original Game Boy game that wasn’t as well received as it could have been if it were on the NES or SNES due to the limitations of the system. Then there was Metroid Prime 4, no more of this offshoot nonsense, Nintendo seems to finally be understanding what it is that fans want. 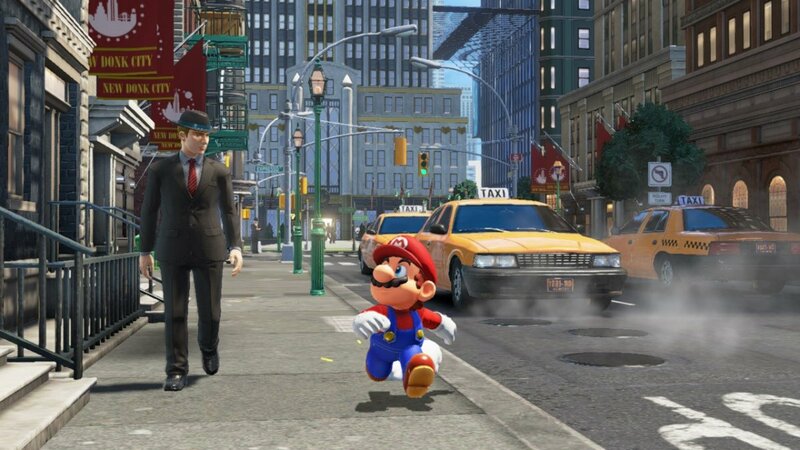 Super Mario Odyssey showed off some new stuff that seems like it’ll add new dimensions to the typical 3D Mario gameplay that has me even more excited than I already was. A new Kirby game for the Switch is perfectly fine with me, though I’m hoping they add something special to it like they did with Kirby Planet Robobot and the mech suit. They revealed new amiibo that I’ll have to buy, and they revealed a remake of Mario & Luigi Superstar Saga on 3DS with a full featured second game packed with it on the Treehouse Stream. Side thought:Very excited about a new Wolfenstein from Machine Games. Biggest disappointment: Complete lack of Borderlands 3. For Microsoft, they get points for coming up with the XBOX acronym moniker, AKA the Xbox One X, the most confusing name in console history. Unfortunately, a powerful new machine with only two new IPs isn’t enough to get me excited for it, regardless of the rising 4K trend. It also looks like they’re leaning on the Forza crutch yet again, which is concerning to say the least. Hardware specs doesn’t sell consoles, Microsoft. Games do. As for Sony, they clearly understood that games mattered more, yet they definitely pushed the Pro this time around as if it was the “only” way to play, which seemed a little heavy-handed. The remastered Shadow of the Colossus is gorgeous, but it’s something we’ve already seen before. Honestly, Monster Hunter World was the only title I was truly excited for, but that’s just my personal bias speaking. Also, judging from the Days Gone and God of War footage, it appears that walking segments are the new unskippable cutscenes, and that’s a problem. I play video games for gameplay, not forced exposition dumps. As for Nintendo, Super Mario Odyssey is shaping up to be a magical title and a system seller, Metroid Prime 4 is nothing short of Hype City, and a new Switch-exclusive Pokémon title definitely raised some eyebrows. However, I’m still not convinced enough to drop three hundred bones on their new console. This is because I want to see Nintendo embrace the 21st century and finally create a seamless mobile market to complement their “on-the-go” console. 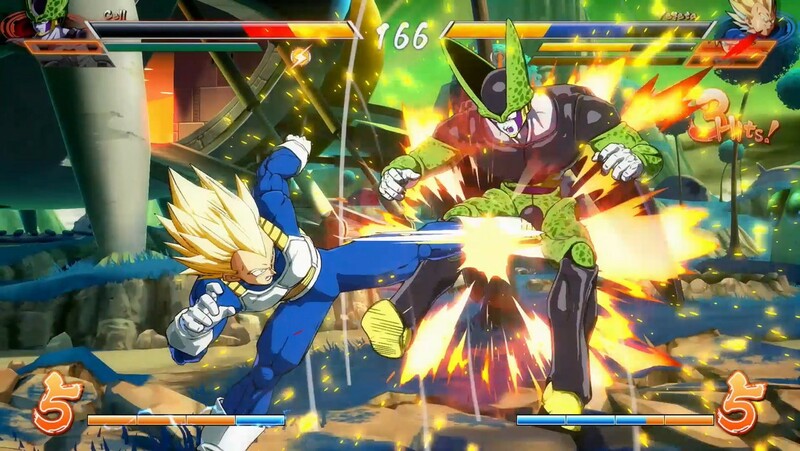 If they can’t do that, the Switch will share the same fate as the underwhelming Wii U.
Lastly, The Dark Horse Award goes to Team Red for delivering the fighting game all fans have been unconsciously wanting for a very long time: Dragon Ball FighterZ. Look out Marvel vs Capcom Infinite, these folks are out for blood. From the impressions I’ve gathered, it plays like an accessible version of Guilty Gear Xrd, yet strives to be just as zany as Marvel vs Capcom 2, which is a very good thing. Lastly, Team Red is staying as faithful to the source material as possible, and I can’t help but smile when I see that. Overall, E3 2017 to me felt like having lunch at a fast food joint: it’ll get the job done, but you know deep down that you could’ve had something much better. You know there’s a problem when Team Red (a development studio of 44 staffers) walks away with my Best of Show nod, while the Big Three leave nothing but ambitious promises for their newer/expensive consoles. This only exacerbates my previous fear: the focus on hardware over software. Games sell consoles, not the specs. If it was all about 8 core processing and high performance GPUs, then building/purchasing a PC would be a much more viable option because they can be upgraded over time. This places Microsoft in a very tricky situation, because they’re blurring the lines between console and PC. That’s not a good thing, especially when you want to differentiate your products. This wasn’t a terrible E3, but it wasn’t a great one either. At least I have Dragon Ball FighterZ to look forward to. 2018 can’t arrive fast enough. EA’s press conference would have almost been a disappointment if it weren’t for the debut of A Way Out. From the developer of Brothers: A Tale of Two Sons, A Way Out really seems to merge cinematic storytelling with cooperative gameplay in an effective, asymmetric way that should make couch co-op a lot of fun. Star Wars: Battlefront II showed promise, proving that the new installment has enough to offer to set itself apart from its predecessor. The new class system, expanded content and original single player campaign look to add a much needed boost to the series. However, the absence of Visceral Games and Amy Hennig’s third person action Star Wars game was a disappointment given it has been teased for a number of years now. Need for Speed probably isn’t going to be my thing, but it really is capturing a corner of the car enthusiast culture with its Fast and the Furious-like campaign. EA Sports came out to show off their implementation of more story driven single player campaigns, which is admittedly pretty cool. I gave the FIFA campaign a go, and while it was a bit light on content, it showed potential to grow into an interesting experience. 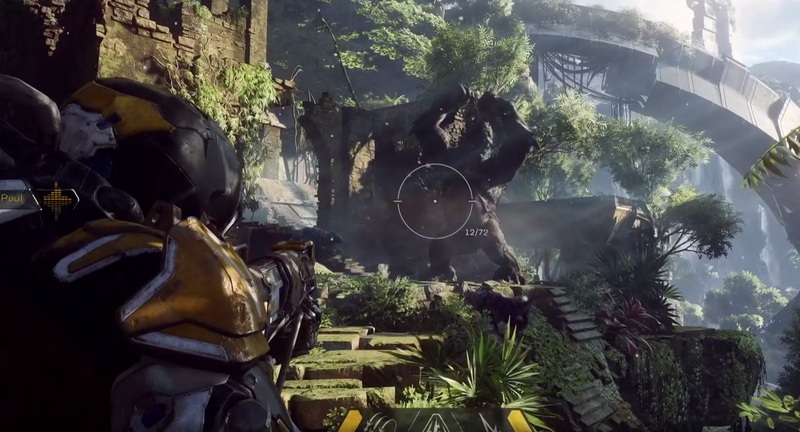 Anthem looks and seems to play great, and somehow succeeded to temporarily wipe my memory of the unfortunate experience that was Mass Effect: Andromeda. Bioware and EA have a lot to prove, and they look to do so with a new IP that seems to blend the experience of Bungie’s Destiny and their own style of narrative gameplay. The Xbox One X, from a hardware perspective, is highly impressive and deserves the attention of existing Xbox fans, estranged Xbox fans and all those who have not strayed far from their preferred console. The box is sleek, the controller remains my favourite of all time, and the specs are undeniably monstrous, to borrow a favourite word of the Xbox marketing team. Of course, there’s only so much you can do with a console until you have to start playing some games. I think it was a bold move bringing out 42 games, including 22 exclusives, no matter their definition of the word. It demonstrated that they are making strides towards increasing both the AAA lineup as well as the indie ecosystem, one that was once very strong on the Xbox 360. It may be hard to sell a $499USD true 4K console on the basis of indies, but there are titles like Crackdown 3, Sea of Thieves and a wealth of third-party games with 4K support coming within the calendar year. That’s the key here; Phil Spencer and Xbox don’t like to show their cards more than a year in advance, and not everyone likes that. The press conference may have done more for existing Xbox fans, but at least they are making waves and drawing in third-party developers with hardware they want to make games on. And they did it all without toting out Halo or Gears of War. Now it’s time for Xbox to prove their commitment to games with more and more third-party marketing deals like Anthem, Metro: Exodus, Assassin’s Creed and more. I don’t think Bethesda needed a press conference this year, but once a publisher grabs a piece of the mindshare they probably shouldn’t let it go. The Evil Within 2 and Wolfenstein II: The New Colossus are exactly what I wanted from them, and it was an total bonus to be getting them in the Fall. Both of their predecessors are highlights in my experience with the current generation consoles and the newest titles seem to be added to their depth of mechanics and narrative. There’s not much more I could ask for from Tango Gameworks and Machine Games. Now it’s up to them to prove they can build on their existing work and out-do more recent releases within their realms, like Resident Evil VII and Doom, respectively. I’m impressed with Bethesda’s commitment to VR, even if I have yet to stray into that corner of the industry. They are bringing full-fledged games to these devices, which is what many consumers both want and seem to need in order to make a commitment. I’m not sure how well they play, especially for a number of hours on end, but at least they’re coming. Lastly, the lack of a new Elder Scrolls game may have upset fans, but I simply cannot see that game coming before 2019. Those RPGs are expansive and require considerable development time, and if they aren’t already working on it like rumours suggest, it’s a long time coming. While I can’t say I’ll play every one of the games Ubisoft rolled out, they still peaked my interest. Mario+Rabbids: Kingdom Battle went from being a joke to a legitimate contender with its XCOM-like systems and less irritating use of the Rabbids. I steered clear of the Assassin’s Creed blackhole after the first game and thought I would never look back. Origins, however, seems to contain the most intriguing environment to date as well as faster gameplay that might hold my attention a little better than before. The Crew 2 and South Park: The Fractured But Whole won’t do much for me, but they both seem to have learned from their previous installments to develop deeper systems, and I suspect thy’ll become better games for it. Not everyone will like the changes in South Park‘s combat, but it will remain fresh. Skull & Bones may be one of the most uninteresting titles possible for a pirate game, but the demo Ubisoft cooked up definitely distracted me from that misstep. I know many people have been clamouring on for a naval combat game after the success of Black Flag, and this seems to be it. I’m hoping the single player campaign holds up enough that the game doesn’t have to rely on its multiplayer, like For Honor did this year. Here’s hoping Skull & Bones can prove to become a strong new franchise for Ubisoft. I didn’t expect to see Beyond Good and Evil 2 at E3, but there it was in all its hilarious, CG glory. Ubisoft definitely earned some feel-good brownie points for this one. And while the game is definitely a bit of a ways away, at least fans may rest easy for now. Finally, Far Cry 5 really proved its differences from past releases. The world is refreshingly new and more content-dense than the previous games, making it more anxious and hectic to play. I’m thrilled to jump into the new environment with its unsettling villains and breadth of guns-for-hire. Plus, I can’t resist a dog companion. The wealth of first-party titles coming to the PlayStation 4 is incredible, adding great promise to an already successful console. I don’t think this year’s conference was as good as the last’s, but PlayStation brought new gameplay for games I’ve wanted to see. It goes without saying that Insomniac’s Spider-Man looks to be a stellar experience, taking the heavy-handed Arkham combat and making it light-footed and gracefully acrobatic. There are more great games coming some time next year and beyond, and they all seem impressive to some degree. However, the lack of 2017 release dates on things like God of War, Days Gone, and Detroit: Become Human is a bit of a disappointment. What baffled me the most about Sony’s press conference was the announcement of Knack 2‘s September 4, 2017 release date, Gran Turismo Sport‘s 2017 promise and more content from the Crash remaster all in the pre-show. Why can’t these games hold their own on the big stage, given that they are the majority of what Sony has to offer this year? Either they have less faith in these games than I thought, or Sony is convinced that showing 2018+ games is a more effective stage strategy. Uncharted: The Lost Legacy is the only title coming to the PS4 this year that I’m all in for. Marvel vs. Capcom: Infinite isn’t doing it for me and the other titles I’d be remotely interested in are third-party. At least there’s promise for the future, no matter how far out that may be. Come back tomorrow for more, as we still have quite a few people left to hear from!